The Gripcord is back! Now we've added a swivel to the PANIC SNAP (ripcord style snap release). Simply pull the flag for breakaway. The material is a unlike anything else you've ever felt. It feels like unicorn leather and your fingers stick to it when the dog pulls. It's the perfect thickness and width. 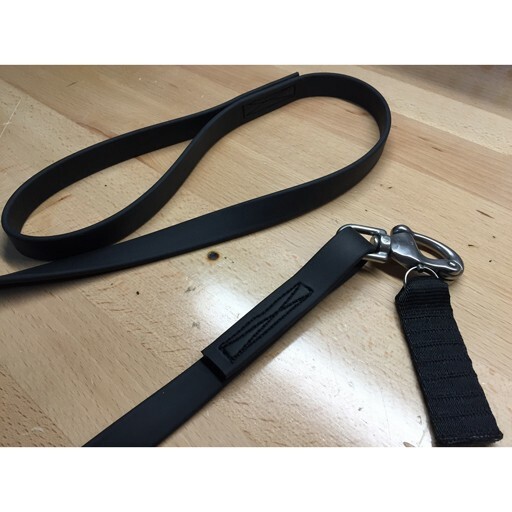 It's nothing less than the best dog leash we've ever made. We're declaring victory. We did it! Thanks to all the little people.